Vancouver, we love you Meet Up! 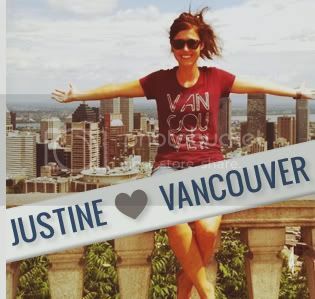 We've received a lot of notes and tweets from people that are excited about moving to Vancouver. We totally understand...who wouldn't be happy about that? We share your excitement! Everyone deserves a grand welcome to our city, and to meet super cool people right off the bat, so we decided to put together the first ever Vancouver, we love you Meet Up! Come out and hang out with some of the Vancouver, we love you crew, meet other supporters, enjoy some delicious appy's and drinks, and get all the high fives you're body is able to handle. 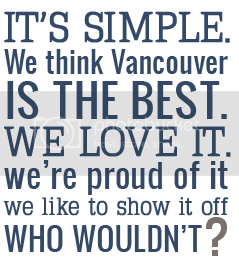 Whether you've a new Vancouverite, just visiting our city, or are a life-timer, all are welcome to join us for some fun! 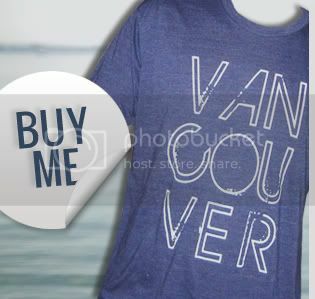 What: Vancouver, we love you meet up! Where: Displace Hashery - 3293 West 4th Ave. Event is free to attend and appy's will be provided. Thanks to Displace Hashery for being awesome! If you plan on joining us please send a quick email letting us know to count you in. Also, if you've had your eye on a shirt, hoodie, or water bottle and want to purchase it in person, include the request in your email and we'll be sure to bring it along for you!